Florence Mabel Kling Harding, 1860–1924. First Lady of the United States, 1921-1923. 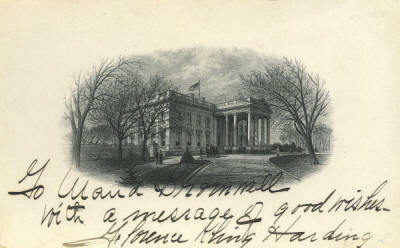 Inscribed White House vignette engraving signed Florence Kling Harding. 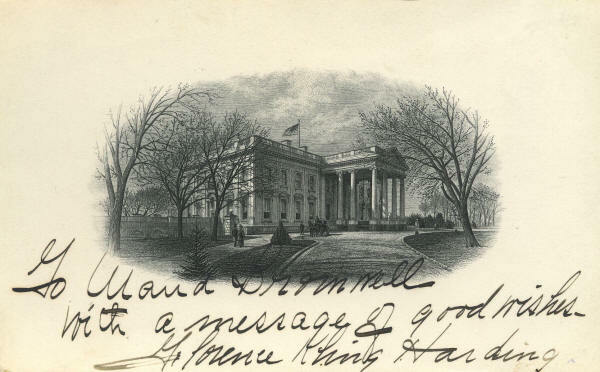 This beautiful engraving shows the north front of the White House. Mrs. Harding has boldly inscribed it “To Wanda Brommell / with a message of good wishes" and signed in black fountain pen. It is in extra fine condition.